You want to create awareness, provide opportunities for engagement, report on your progress, and encourage donors to make additional gifts. Touch your donors with three solicitations throughout the year: two should occur before your year-end solicitation. Each donor should hear from you throughout the year, regardless of the size of their gift. Tailor your communication to meet their method of giving. Here are 11 suggestions for your consideration. When you receive a gift send a thank you note and receipt within 48 hours. Take a moment to create a connection: depending on the size of the gift and the location of the donor follow up with a visit, phone call or personal email. Keep your donors informed. Send a progress report on the organization, your campaign and impact. Include photos and quotes. Share upcoming events and dates. Keep it short – make every word count. Send via U.S. mail or email. You can also post to social media, but don’t let that take the place of personalized communication. Extend an invitation to visit your facilities and see your programs in action. Invite donors by phone, or with an electronic or print invitation. Again, keep it personal. Encourage donors to become involved. Share information about one-time or ongoing volunteer opportunities. Be as personal as you can, inviting people to volunteer for programs or activities you believe are a match with their interests. When you have events take the time to send an invitation. Pick up the phone for an extra personal touch for long term supporters (regardless of gift size) and major donors. Send another progress report. Consider highlighting a specific program. Include a solicitation. Don’t worry – you are not “over asking.” People cannot give if you don’t give them an opportunity to support your work. If you haven’t yet made a personal call, have someone from your organization call to share information and provide an update. Send a “state of the organization” report. Written by the executive director, this is an annual review sharing the strengths, challenges and opportunities facing the organization. Go ahead, include a solicitation. In early November send out your year-end solicitation. Start the cycle again with thank you. 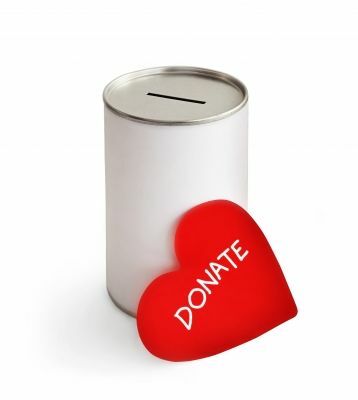 Think of this: 30% of this year’s donors may not give again next year. Can you afford that? Thank you begins and ends the solicitation cycle for a nonprofit.